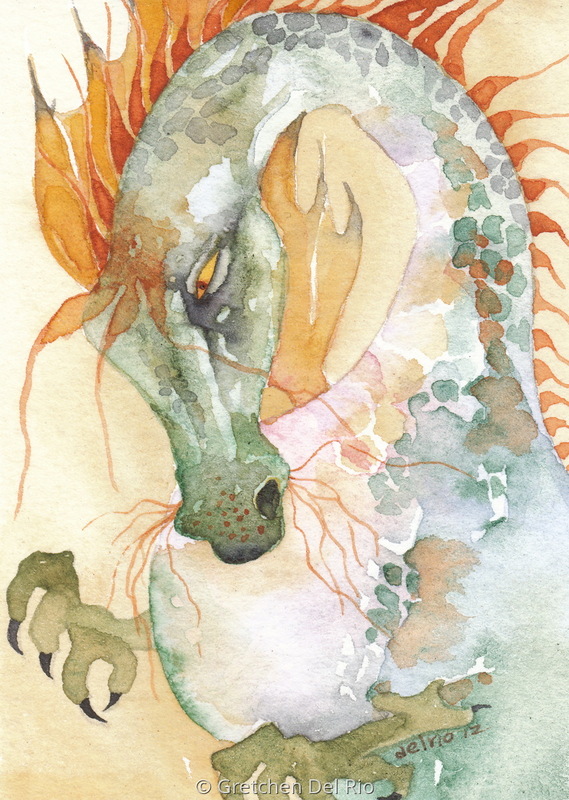 The apple dragon is sister to the nursery dragon. Both are very fond of small children. Even though dragons can have nasty reputations, these two would never, ever harm a hair on the babe’s head. The apple dragon is named so because she likes to perch on the back of the high chair while Mum is feeding her babe applesauce. It is such a sweet time between mother and child. A forever bonding takes place and that is why little children like to play in the kitchen while dinner is cooking. 7" x 5"11.25" x 8"15.5" x 11"19.75" x 14"24" x 17"27.25" x 19.25"